Welcome! My name is Kim Snyder and I am the proud owner of Indigo Nail Creations. I offer personalized nail services focusing on the natural nail to make and keep them as strong and healthy as possible. Your experience will be unlike any other in the area as you relax in a semi-private environment while I take the time to listen to your needs and wants. I strive to provide exceptional customer service with the one on one attention that you deserve, all within a relaxing atmosphere where I strive to exceed your expectations! 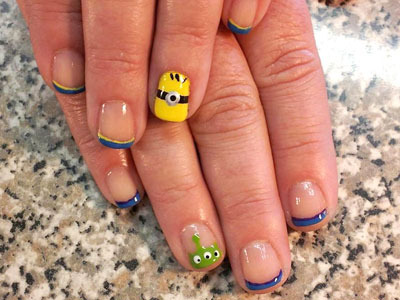 Services include manicures (traditional and Shellac), pedicures, nail art, and so much more. I also offer add-on services such as Anti Age treatments, IBX treatments, and paraffin treatments. Call today to schedule your appointment at 919-604-9677. 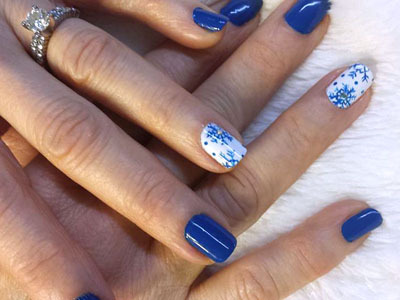 Indigo Nail Creations is conveniently located just north of Historic Downtown Apex at Salem Towne Court which is off Salem Street between Apex Peakway and Hunter Street.